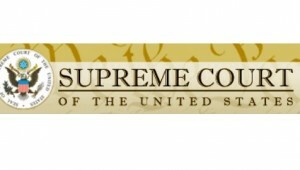 The Supreme Court Fellows Program invites applications for fellows to engage for one year in the work of the Supreme Court of the United States, the Administrative Office of the United States Courts, the Federal Judicial Center, or the United States Sentencing Commission. The application deadline is Nov. 14, 2014. The Supreme Court Fellows Program has traditionally provided opportunities for mid-career professionals drawn from the fields of law and political science. This year, the Supreme Court Fellows Program will also offer those opportunities to recent law school graduates and doctoral degree recipients with exceptional records of achievement. We are especially interested in applicants who are completing a judicial clerkship and are interested in broadening their understanding of the judicial system through exposure to federal court administration. The fellowship experience will be especially valuable to people who are interested in pursuing an academic career or a career in public service.